Our Universe as God can see it. The Millennium simulation ran for more than 1 month at the Max Planck Society Supercomputing Center in Germany, recreating the evolution of more than 20 million galaxies populating a 2 billion light-year cube of our universe. This video is a 2.4 billion light-year journey through that simulation of our universe. We travel between a vast lacework made up of innumerable galaxies, approaching and flying around a rich cluster of galaxies. Background music from: Richard Davy, "O Domine Caeli Terraeque for 5 voices," The Pillars of Eternity, Eton Choirbook Volume 3. Harry Christopher, conductor. (Amazon link to music.). Prologue and background music added by David Monyak. 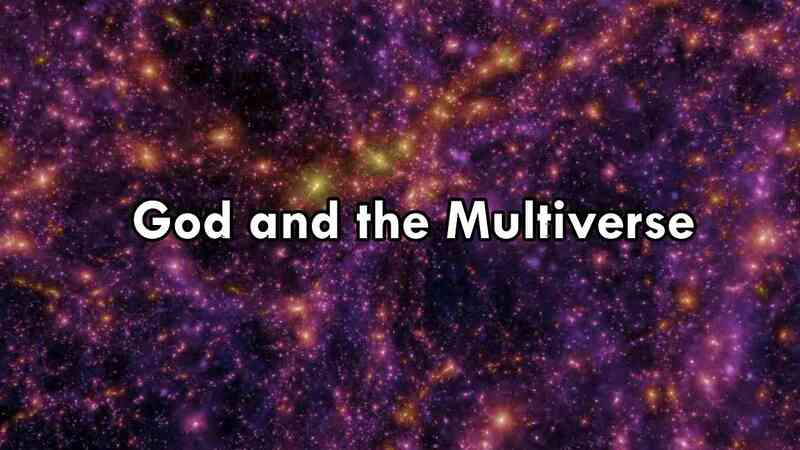 In this series we reviewed how the discoveries of modern cosmology can most rationally be explained by a God who deliberately created a universe — or multiverse — that would be fruitful of life. We met Sundays in the Parlor from 10 to 10:50 am from November 4 through November 25, 2012. Presentations were by David Monyak. 1: Introduction. A Universe with a Beginning. 3: A Universe Finely Tuned for Life..
4: An Orderly, Rational, Comprehensible, Beautiful Universe. Wrap up and Conclusion. 3. Paul Davies, The Mind of God: The Scientific Basis for a Rational World. Simon and Schuster, 1993. ISBN-13: 978-0671797188.